I just thought I’d share a few pictures from the “workshop”, now I’m starting to get it organised. It’s been completely rewired and we’ve had the local security company in. 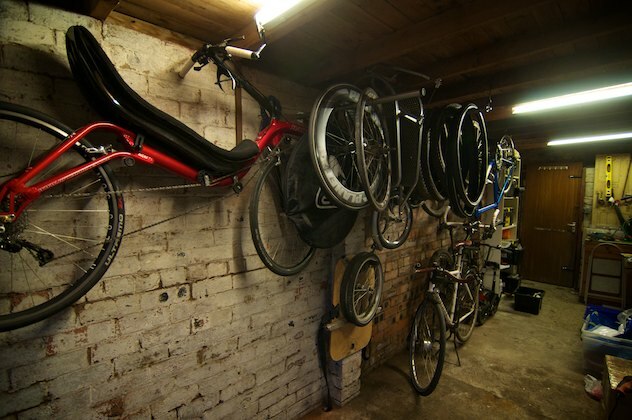 Now featuring two trailers and seven bikes (six in these photos – my better half’s day bike is in use, but rests on a stand underneath the High Baron), and in quite a compact layout too! 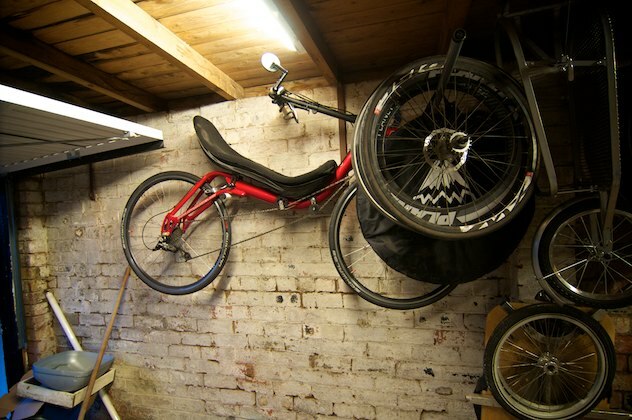 I’m using spare aluminium table legs from the local B&Q as cheap temporary pegs for the bikes, wheels and tyres until I can decide on a final layout. They actually work rather well for just a couple of pounds apiece! Still a huge amount to do, of course; I still haven’t organised tools, spares and other parts, or set up a bench vice and other bits and pieces on the far side. But considering we previously had room to assemble only two or three bikes at a time this is paradise! 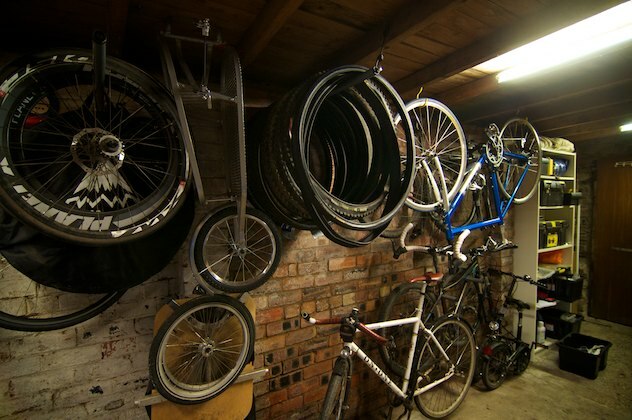 Nicely organised… need to get more hung up at the shop!